Local Agent is the fourth LP by Charlatan, a.k.a. Brad Rose, label-head of Digitalis, also known as The North Sea and one half of Safiyya. Local Agent is Charlatan's streamlined statement, an amalgam of spy and sci-fi techno with touches of abstract dub, finely mastered by John Tejada. Local Agent is a great culmination of several years’ work by Brad Rose, who has been studying and styling a conceptual and abstract merge between industrial-beat and techno structures, with a sensitivity for narrative and the description of futuristic landscapes (retro-futuristic / Lab style). While employing his usual set of tools (electronic synthesis, cyclical melodies and techno/abstract rhythms), this time around Brad Rose/Charlatan is also playing inside the most turbulent dub territories, jointed by crushed and anonymous bass lines, to create tracks loaded with kinetic content, pieces that move within the grounds of science fiction and spy thrillers, a paranoia-rich sound apt for a J.G. Ballard novel. Local Agent can be understood as a complete musical work; although there are eight separate tracks, and each has its own personality, the full set creates a drama articulated by chapters, almost like a story-line. And this is also another success of Local Agent, the symmetrical conjunction between two axes that are usually distant: cold post-apocalyptic whisperings, dramatic industrial landscapes; and on the other side, a variety of playful melodic sequences, which function as an interlude or a precedent for freer and more abstract parts that could almost be imagined as a complex, epic confrontation. Local Agent is -metaphorically speaking- the process of a machine-like entity, a halogen-lit golem, a schizoid double agent, and a society that works feverishly for the last few hours before the great crash. 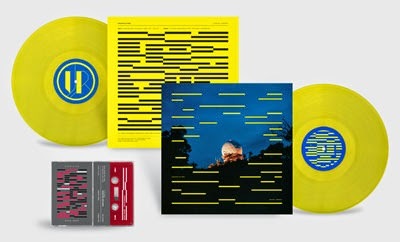 LP limited to 300 copies, pressed on yellow transparent colored vinyl and packaged in uncoated stock jackets with double sided insert, black polylined inner sleeve, and free download card. The download card includes the entire album plus remixes from Roll The Dice and Black Hat. While supplies last all mailorder customers will receive the Dead Drop as a free bonus cassette. The Dead Drop contains 8 additional new tracks from Charlatan recorded during the sessions for Local Agent. Dead Drop is limited to 100 pro-dubbed chrome tapes with 4 panel J-card and download code. The tape is not available for sale separately. 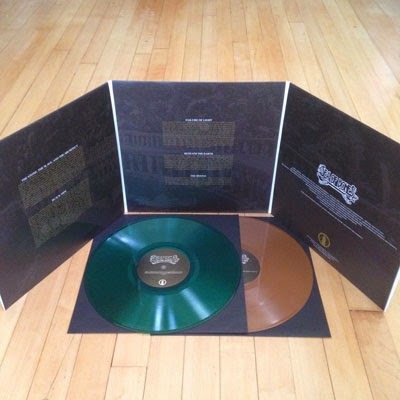 2xLP packaged in gatefold jacket. First pressing limited to 400 copies on black vinyl, 400 copies on red and clear vinyl. 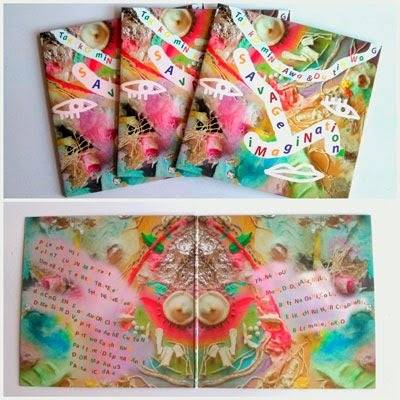 CD packaged in 4 panel digipak w/lyric booklet. This is a pre-order for August 26th street date. All orders containing Instinct Is Forever will ship on or slightly before the street date. 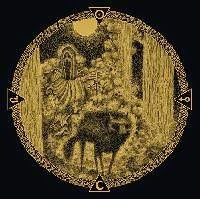 Connecticut doom-weavers Sea of Bones bring their 2013 self-released epic to the vinyl format for the first time as a 3xLP. The Earth Wants Us Dead is a deep listen of an album made up of sludging, droning doom containing obvious, but subtle, psychedelic influences. The songs are sprawling and massive, destructive and intense, with plodding, atmospheric power. The Earth Wants Us Dead has been meticulously re-mastered for vinyl by Adam Tucker at Signaturetone Recording, resulting in a much different listening experience than the original digital masters. For six years fans of Sea of Bones waited for a proper full-length follow up to their 2007 demo, The Harvest. Although time generally brings decay and death to everything it touches, the result was quite the opposite with Sea of Bones. In 2013 they returned with The Earth Wants Us Dead, an album of sludging, droning doom containing obvious, but subtle, psychedelic influences. The songs are sprawling and massive, destructive and intense, with plodding, atmospheric power. 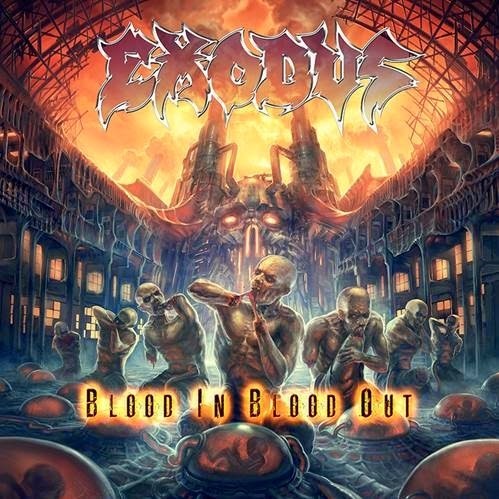 Following the doom assault, comes the title track of the album. A single, 39-minute drone composition that lays the album to rest. 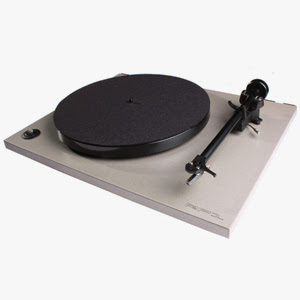 Allowing the listener time for reflection and recovery across two full sides of vinyl. The Earth Wants Us Dead is presented as a double gatefold 3xLP limited to 500 copies : 200 black, 150 clear green, 150 brown. Download code included. This is a pre-order for August 26th street date. All orders containing The Earth Wants Us Dead will ship on or slightly before the street date. Glitter Glamour Atrocity is WHITE HILLS’ second album, originally self-released in January 2007 as a limited edition CD and unavailable on any other format until now. The album has now been mastered by Heba Kadry at Timeless Mastering and is being released on both CD & LP with brand new artwork. 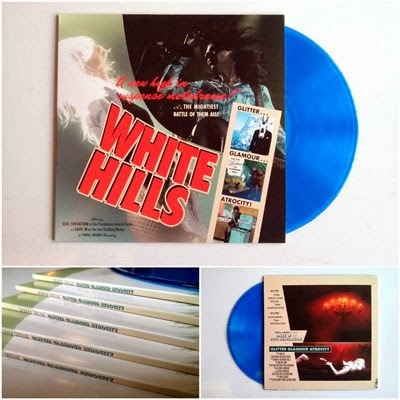 WHITE HILLS perform album track "Under Skin Or By Name" in the Jim Jarmusch film Only Lovers Left Alive. Glitter Glamour Atrocity is a snapshot of the band in the midst of an incredible burst of creativity, and was recorded during the same sessions that produced Heads On Fire and Abstractions & Mutations. 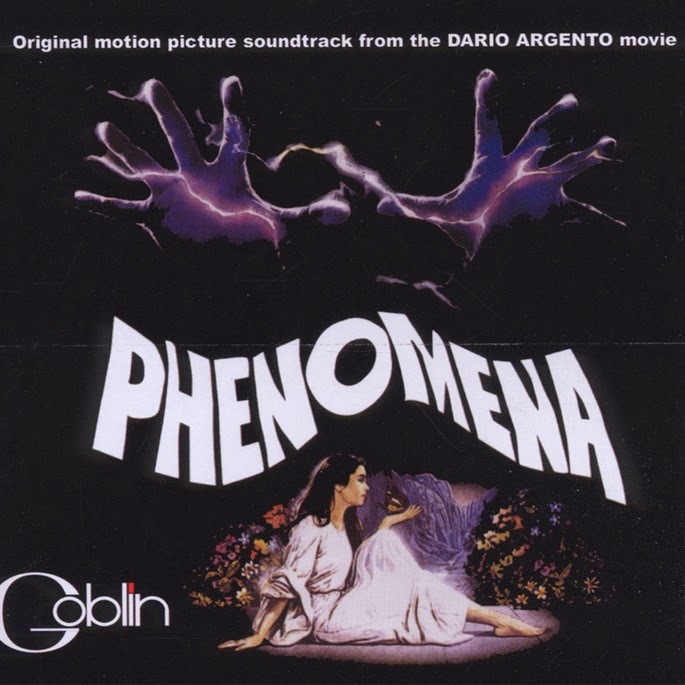 Sonically, it is radically different from anything else coming out of the New York underground at the time, and it set the template for the singular concoction of heavy psychedelic music, krautrock, and a worship of pure sound they have explored in different variations ever since. 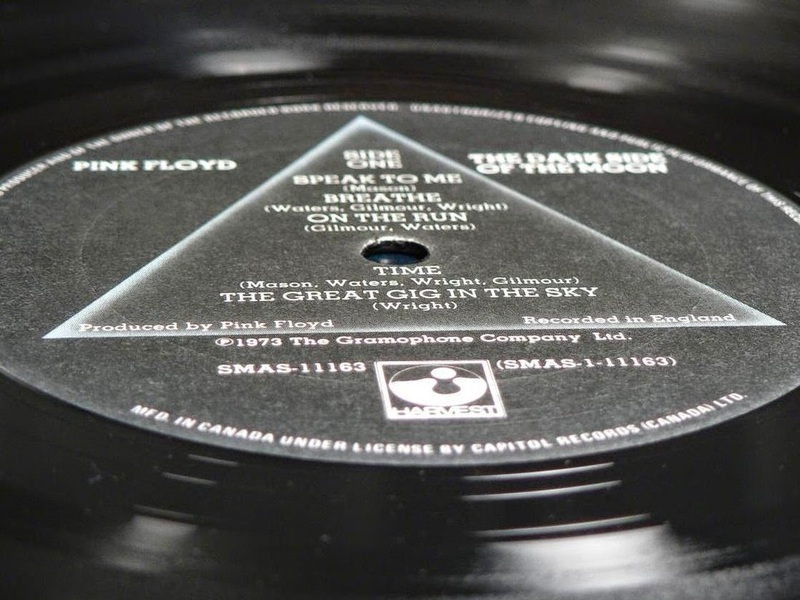 Throughout the album the band explores themes of greed, misinformation, war, hypocrisy and their outcomes within the world’s political and economic systems, presenting these weighty topics with the same air of mystic understanding that underpins their music. Glitter Glamour Atrocity includes the song “Under Skin Or By Name,” the longest running staple in the band’s live set, which the band performed in the acclaimed film Only Lovers Left Alive at the request of director Jim Jarmusch. 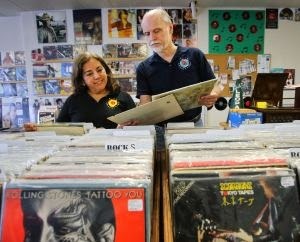 It is one of only two performances in the movie, which is enamored with the music making process and record collector culture. Glitter Glamour Atrocity was recorded with the first iteration of the trio line-up with Dave W. on vocals, guitar, synthesizers, and sound collage, Ego Sensation on bass and vocals, and Bob Bellomo on drums. It was recorded at Bellomo’s studio in Passaic, NJ, and produced by Dave W. This new edition is the first time the album has been pressed on vinyl, properly mastered and presented with brand new artwork. 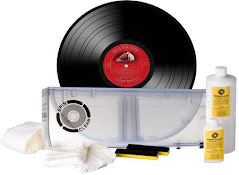 The LP version is pressed on virgin vinyl with a free download coupon. While supplies last mailorder customers will be treated to a translucent blue vinyl edition (LIMITED TO ONLY 500). CD version is packaged in a 4 panel mini-LP style gatefold package. This is a pre-order for August 26th street date. All orders containing Glitter Glamour Atrocity will ship on or slightly before the street date. Dustin Wong and Takako Minekawa are artistic omnivores, soaking up a myriad of cultural artifacts and styles, savoring bits and pieces and recontexutalizing them into an entirely delightful and playfully intricate songs. Their songs are embued with a relentless cheerfulness that belies their technicality, steeped in the history of Japanese pop music and exuding the joy of discovery and exploration. Dustin and Takako are serious musicians not afraid to play it silly. Savage Imagination is their second album as a duo and shows their collaboration in full bloom. 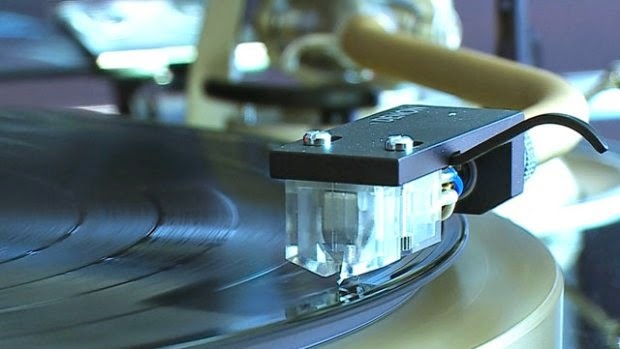 It is an collection of vibrant pop music, laced with the sounds of video games, radiophonic experiments, and indigenous music from around the world. In preparation for writing and recording Savage Imagination, Dustin and Takako developed a new interface in which they could both seamlessly shift from guitar to keyboards to sampler to vocals, expanding timbral possibilities and allowing them to utilize many of the dynamic looping techniques Dustin perfected in his solo work with this wider palate. As that palate morphs throughout Savage Imagination, Takako breathy but emotionally resonant voice remains a constant, providing characteristically inventive melodies that soar above Dustin’s florescent guitars. On “She He See Feel” Takako sings about quantum physics, human consciousness, and flying above a desert all within the framework of Japanese puns. Their playful energy and omnivorous approach is reflected in the album’s art, a diorama created by the duo while they were recording the music. Savage Imagination was recorded at home by Takako and Dustin: “We both hit the record button for each other.” Dustin was introduced to the world as a member of Ponytail, and has spent the past several years making incredibly deep and complex albums of looped solo electric guitar for Thrill Jockey. Takako Minekawa first rose to international prominence as a Shibuya-kei singer in the mid-90s with the song “Fantastic Cat” and her albums Roomic Cube and Cloudy Cloud Calculator. She has collaborated with Ryuichi Sakamoto, Cornelius, Buffalo Daughter, Dymaxion, and others. Dustin and Takako will tour Asia and North America this fall as a duo. First 500 LPs pressed on mint green vinyl packaged in a high gloss gatefold jacket with free download card. CD version in high gloss mini-LP style gatefold package. Savage Imagination is the duo’s second collaborative album, and Dustin’s first release since he completed his trilogy of solo looped guitar albums last year. This is a pre-order for September 23rd street date. All orders containing Savage Imagination will ship on or slightly before the street date. 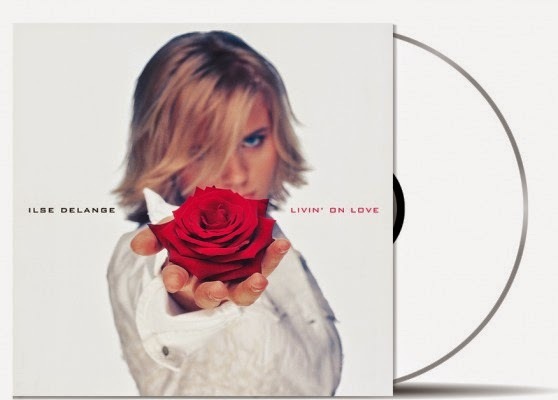 Country-pop singer Ilse DeLange emerged as one of the most successful Dutch artists of her generation with her chart-topping 1998 debut, World Of Hurt [MOVLP938]. Rumors of a new album were heard in mid 2000. The first single "Livin' On Love" was released in October, after which her sophomore studio album Livin' On Love was released. The album was a musical departure from her debut, leaning more toward Pop/Rock. With this album, Ilse gained even more State-side interest due to her covers of 2 songs by popular American singer/songwriters Buddy and Julie Miller ("I Still Cry" and "Ride The Wind To Me"), and other songs written by Patty Larkin, Jude Cole and Wayne Kirkpatrick. Alison Krauss also provided guest vocals. In 2001 DeLange started her Livin' On Love Tour, performing in many theaters and concert halls throughout her home country. She won an Edison Award for best Dutch artist in 2000. The album has never been released on vinyl before – which makes a first pressing of 500 numbered copies on white vinyl all the more special! The Best Years Of Our Lives is an album by Steve Harley & Cockney Rebel released in March 1975. It was their first album that used Harley's name ahead of the band (the band was previously known simply as Cockney Rebel). This album was a big hit in Steve Harley's native England and on the mainland. The album contains the band's biggest hit, the million selling "Make Me Smile (Come Up and See Me)" and "Mr. Raffles". Other standout tracks include the driving rocker "The Mad, Mad Moonlight" and the acoustic ballad title track. The album was recorded and mixed at the EMI Studios, Abbey Road, London and Air Studios, London during November and December 1974. Alan Parsons produced the album. The Best Years Of Our Lives is a fine, slickly crafted album that will delight Steve Harley enthusiasts and will also appeal to fans of Glam-oriented 1970s English rock. 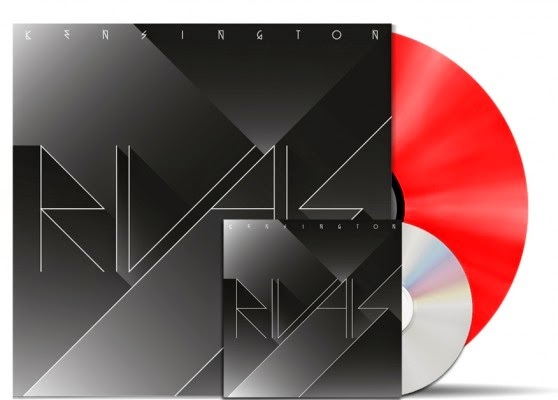 Rivals is the new album of Dutch Indie Rock band Kensington. This band from Utrecht, Holland scored hits with "Home Again" and "Ghosts", performed on the biggest festivals, sold out tours and shows all over the world. They received an MTV Award and multiple radio Awards in the Netherlands. All these positive experiences were taken into the studio, which resulted in the next step up for these rockers. "Rivals is a search for the enemy inside every human being, and represents two faces of the band: one of light Pop songs and one of dark, epic Rock songs." Kensington's first single "Streets" is already becoming a hit and the anthem of this year's festival season. The song "All For Nothing" is the title track of the upcoming Dutch thriller movie Bloedlink, which opens the Dutch Film Festival in September 2014, and is already a hit on popular Dutch Radio. 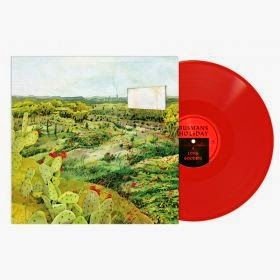 The first vinyl pressing will be released on red wax. This brand new Kensington album also includes a free CD copy! 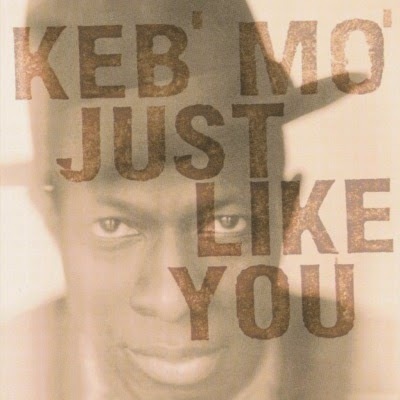 Just Like You is the third album by three-time American Grammy Award-winning blues musician Keb' Mo' (born Kevin Moore). Keb'Mo' has been described as "a living link to the seminal Delta blues that travelled up the Mississippi River and across the expanse of America." His post-modern Blues style is influenced by many eras and genres, including Folk, Rock, Jazz and Pop. Originally released in 1996, the album features guest artists Jackson Browne and Bonnie Raitt, both on the title track "Just Like You". Unlike the first album, Just Like You features a more Blues-Pop to Blues Rock feel and more of its tracks feature a full band. The album was produced by John Porter (Buddy Guy, B.B. King, Taj Mahal, a.o.). In 1997, Just Like You won the Grammy Award for Best Contemporary Blues Album. This is the first ever vinyl issue of this classic album! Busman's Holiday is Lewis and Addison Rogers, brothers of melodic charm and ecstatic showmanship. Lewis plays guitar, and Addison plays drums. The singer/songwriter duo are occasionally accompanied by a string section who fill out their complexly euphonic ballads of love, loss, lust and outer space. Born and raised in Bloomington, Indiana, the pair has toured the U.S. and Canada extensively the past four years, appearing on WNYC's Radiolab, Daytrotter, and backing Jens Lekman. Though adept in a D.I.Y. aesthetic of acoustic busking with only a guitar and a suitcase drum set, the brothers are equally at home on stage playing their unique songs of wanderlust and first love. Evoking a classic tent-show rock sound joined with the affable atmosphere of the assured vaudevillian, Busman's Holiday possesses their own unique blend of humor and musical talent. Their debut full-length album, A Long Goodbye, was recorded in the legendary studio-in-a-church owned by Arcade Fire outside Montreal not long before Arcade Fire had to abandon it due to a collapsing roof. It was recorded and produced by Mark Lawson (Arcade Fire, Islands) and mixed by Drew Vandenberg (of Montreal, Kishi Bashi). Also appearing on the album are Jamie Thompson (The Unicorns, Islands) and Sebastien and Alexander Chow (Islands). super feature over at pitchfork a great read for any fan of vinyl!